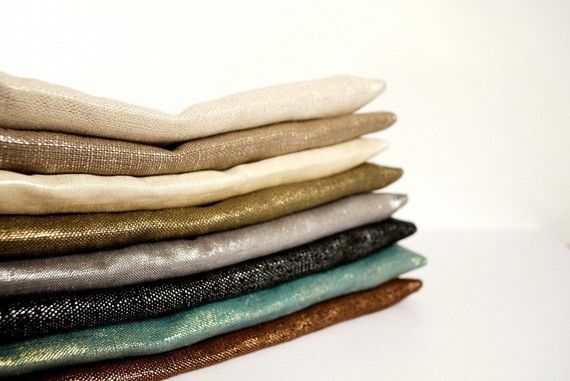 Especially for the holidays I am LOVING metallic linens. The above linen clutches are from Etsy seller MPsen. 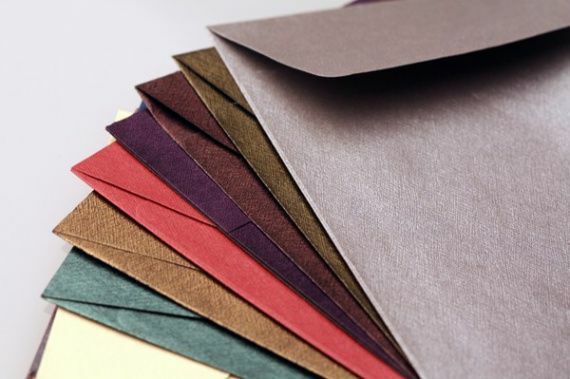 The above envelopes are beautiful and very reasonably priced..like we are talking 50 for $5.50 and can be found here..what a quality look for sending those Christmas cards in. Lastly after seeing Windsor Smith's spread in Rue magazine, I really want to buy some of that metallic linen I have only had in swatch form thus far. I think it is absolutely gorgeous. 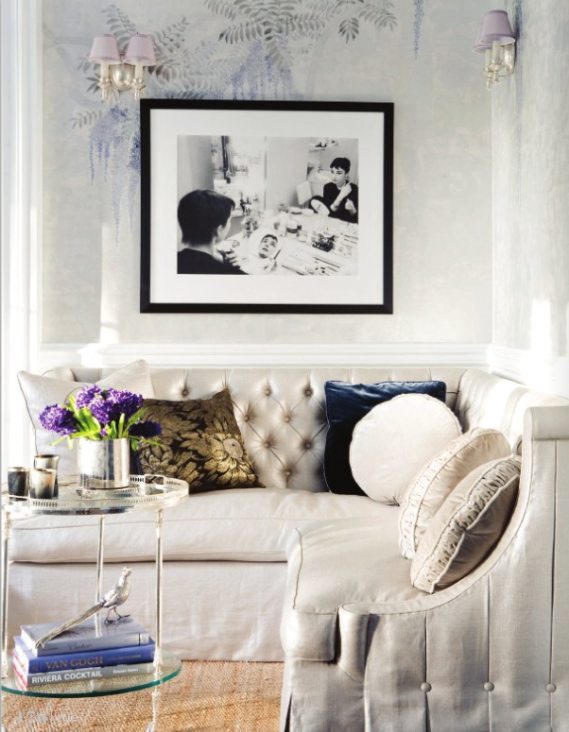 Wow- I'm with you, metallic linen is gorgeous! What I would give for pillows in the EXACT fabric that those clutches come in! I will be on the lookout from now on for this fabulous new trend! Yeah it really is just so beautiful and adds just that little shimmer you need to be fabulous! 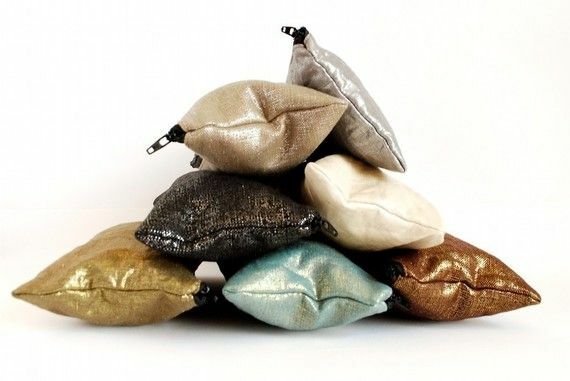 I have a couple of metallic linen pillows and they are beautiful. I got my fabric at Lewis & Sheron for $14/yard. Makes them even yummier! me too! I am having a duvet cover made in metallic linen. I am beyond excited!